Forearm Crutches are also known as Canadian Crutches, Elbow Crutches, Lofstrand Crutches. by the renowned site www.bestadvisor.com/crutches. Welcome to the world of ERGOBAUM CRUTCHES. We specialize in design and manufacture lightweight ergonomic advance crutches. 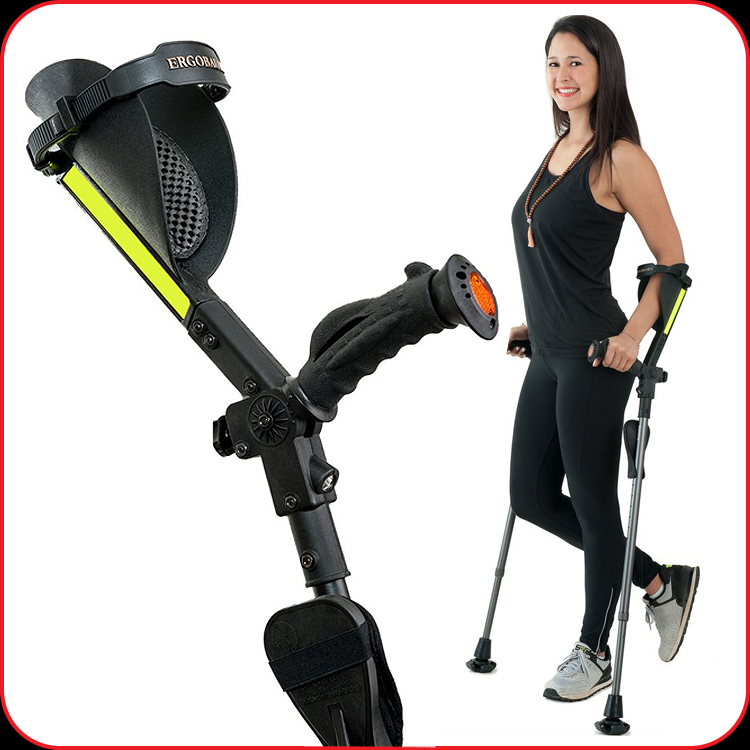 Forearm or underarm, for adults or infants, we have a state-of-the-art crutch to bring comfort, reducing pain to a maximum while promoting a fast recovery to those on a transitory or chronic condition. 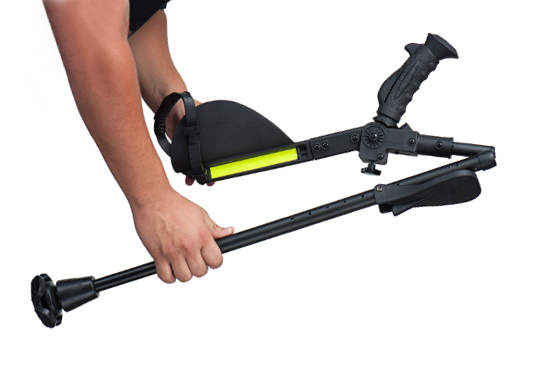 Ergobaum crutches are long-lasting, strong and reliable. Ergonomy is the key factor in the design of each part of our crutch system. Every part is analyzed under the direction of an orthopedic surgeon to deliver a mobility device that contributes to the much more comfortable user experience. Manufactured with the best aluminum alloy every part of our crutches has been carefully designed to respond to the need of the user. 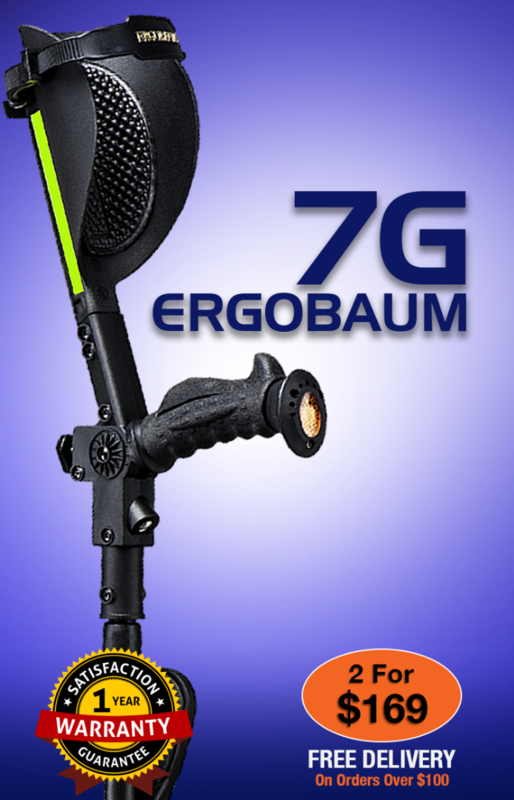 Whether it’s for a transitory or for chronic mobility condition, Ergobaum 7G is the perfect mobility device assisting the amputee, polio, Spina Bifida, multiple sclerosis(MS), neuromuscular diseases, dystonia, arthritis or any permanent condition for patients that requires forearm crutches. 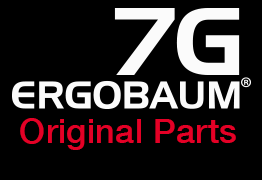 ERGOBAUM 7G is available in 11 beautiful colors to please. Black, Camo, Red, Pink, Light Blue, Green, Silver, Gold, Grey, Purple and Blue, all high-quality anodized finishes. 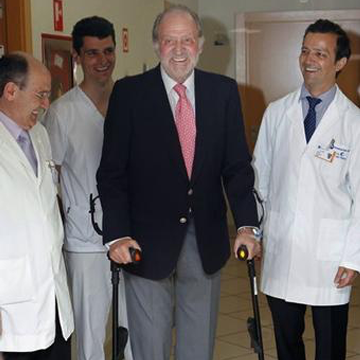 Ergoactives is the pioneer in the development of shock absorber crutches. Thought as an integrated system the first protection ring starts with the crutch tip rubber, and then a powerful spring-loaded module on the tip that reduces the impact, loads and vibrations of the gait transmitted throw the cane up to the hand and wrist, preventing these loads from damaging the delicate anatomical structures. 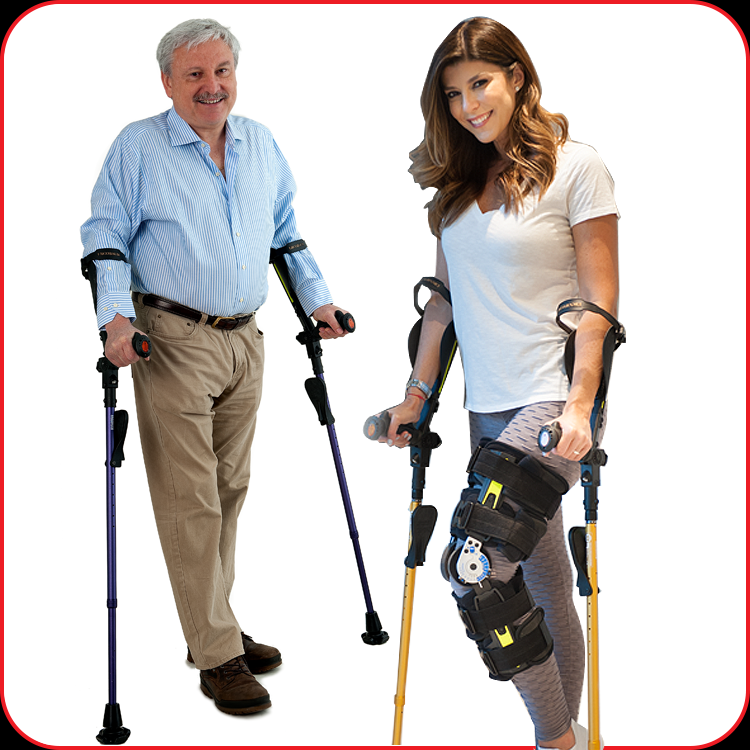 Providing a comfortable and secure gait. 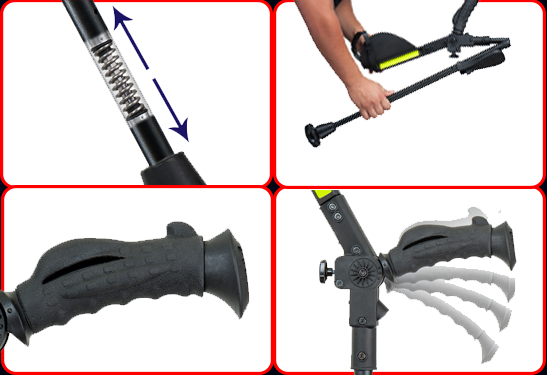 Our forearm crutch grip is produced with high-quality soft rubber. 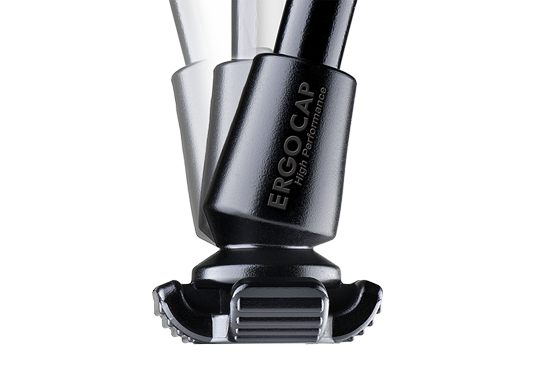 Our engineers had produced an ergonomic grip that is easy on the hands without compromising a solid grip. This is especially important for users with arthritis, joint inflammation or for those who love an active lifestyle and enjoy the freedom of outdoors. Our grip is another barrier against vibration and impact, it is by itself a passive shock absorber. 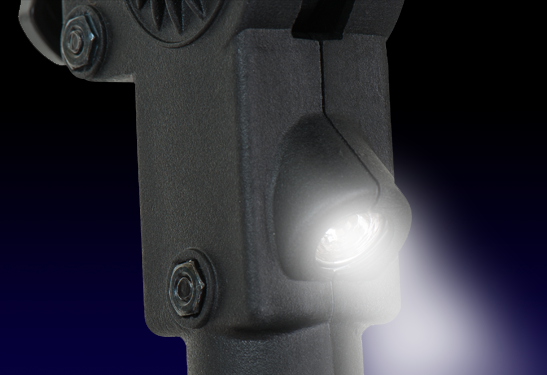 An embedded flashlight with easy accessibility. 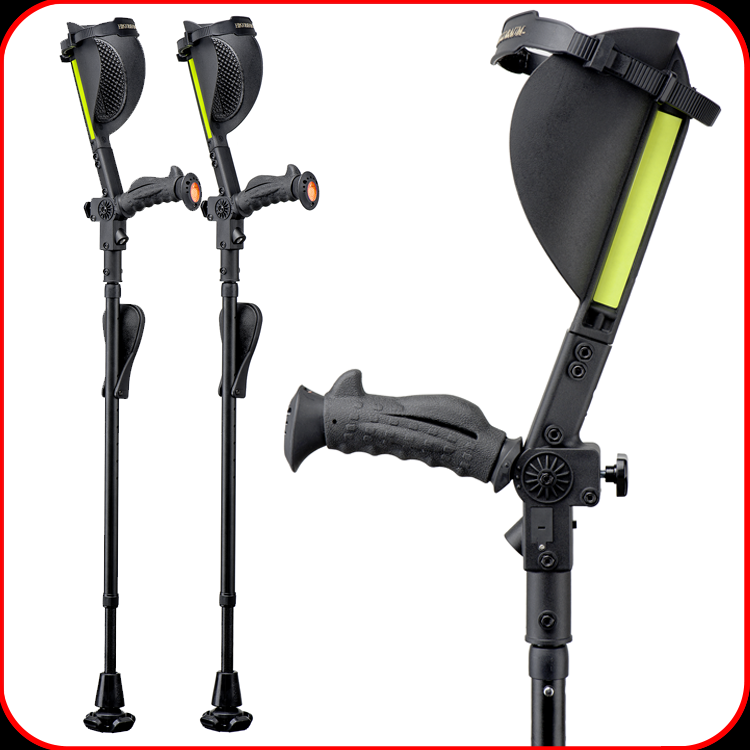 You don’t need to find a smartphone in the dark when you can use the brilliantly designed Ergobaum Crutches with a light at your fingertips. Have you ever gone in an airplane or confined space with your regular crutches? Not very comfortable right? Well, our 7G is totally foldable, just with the press a button it splits in two, making it easy transport on an airplane bin, car trunk, train closet or any confined space. When you need them back, just joint together both parts that always remain side by side by an elastic band, click and you are ready to go. Ergobaum 7G forearm crutches come factory equipped with an adjustable forearm strap, rigid adjustable arm cuff, night security reflective band, and cat-eyes, panic button, adjustable height column. Its made of high grade anodized aluminum. These are true testimonials by customers using our products. Recorded at our facility in North Miami, Florida. The names have been kept on records due to privacy. None of the persons shown are actors or has been paid by any mean. We thank them for their honest testimonials and reviews which is a compromise to keep delivering outstanding customer support. 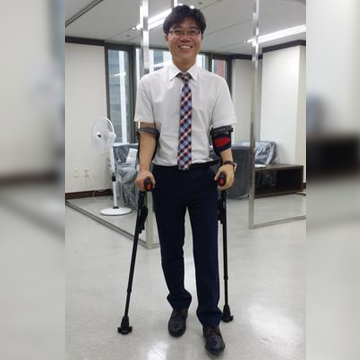 From top to bottom, these crutches are loaded with many features that earned the recognition of top renowned orthopedic surgeons, doctors, chiropractors, physical therapist and those involved in the recovery and well being of patients in need of these devices. 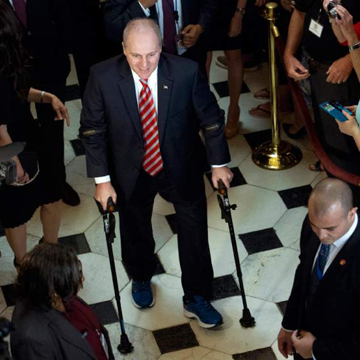 It has been chosen by top medical teams among all other crutch brands to assist celebrities and international personalities from The King of Spain, Don Juan Carlos de Bourbon, Rep. Steve Scalise, to sports stars like Adalberto Peñaranda, Venezuela National Team Superstar, Celso Borges, Costa Rica National Team player, Jackson Follmann, survivor from the plane crash of the Chapecoense FC Soccer Team. Ergobaum Crutches are manufactured with the best material available in the market to last a long time. We are committed to providing superb customer support. Crutch tips are like the tire of your car. In order to provide an outstanding grip, they are made of special rubbers that worn with the constant use, depending on the everyday use, you should replace them every 6 months. We got you covered with Original Parts so your crutches will last for many years. Our customer service team is always ready to help you, please call us at P. 800.231.63.93 if you have any question.